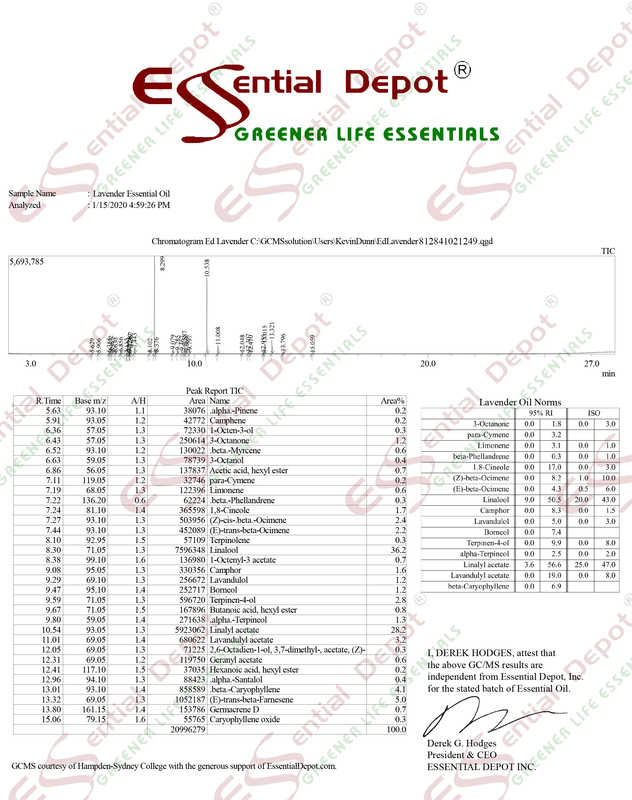 The Place to Shop for Greener Life Products (703 visits today so far) made with Pure GC/MS Tested Essential Oils, amazing Hemp Derived CBD Isolate and Concentrates (no THC) and hundreds of other ingredients from Essential Depot. Not a Member? 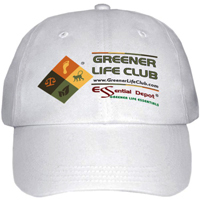 Join the Greener Life Club Today => CLICK HERE – from only $5/month, cancel anytime. If you JOIN NOW that will increase the membership sign up count to: 12,074. You do not have to be an Essential Depot Customer to join the Greener Life Club and help promote the goals expressed in the Greener Life Diamond White Paper. Short Product Description: Our Better than Butter Body Moisturizer is a treat for your skin! 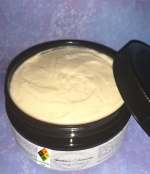 We call it better than butter because we have added skin loving oils and other healthy skin ingredients to make this not your ordinary whipped butter! It's more than a regular body butter. Our moisturizer is made with 98% natural and organic ingredients. Our Fragrance is the only synthetic ingredient in our body polish, but trust that our fragrances are free of Phthalates, parabens, detergents, and harmful chemicals! Our Better than Butter Body Moisturizer is a treat for your skin! We call it better than butter because we have added skin loving oils and other healthy skin ingredients to make this not your ordinary whipped butter! It's more than a regular body butter. We have a variety of sweet and seductive fragrances ready to indulge the senses of men and women. We also have Bare Body Moisturizer and our Triple Butter Body Moisturizer for those who are sensitive to fragrances or have drier skin needs. Please note that our products are made fresh without artificial preservatives, so please ensure that no water gets into the container! Short Product Description: Handmade soap bar with orange peel and natural colorant. Scented with fragrance oil. This invigorating orange scented soap is exactly what you need in the bath after a stressful day. This soap is naturally colored with annatto seeds, which were infused in the olive oil for three weeks before being strained out to make the soap. Tiny orange peel specks add a pleasant and mild exfoliation, while skinloving oils cleanse your tired skin without leaving it dry or greasy. SCENT: Orange Blossom- Orange bouquet with a background of vanilla and raspberry. 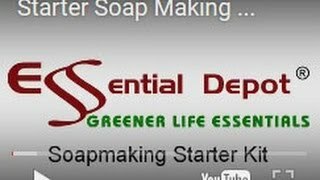 *PLEASE NOTE: Sodium Hydroxide (Lye)* is used to saponify the oils to turn them into soap. Lye is used in every soap bar that you use, whether it's purchased at the store, or from a small business. No lye remains in the final product. I ph test each bar of soap to make sure it is ready for use. Feel free to send me a convo with any questions! -Handmade soap will last a long time if kept dry between uses. 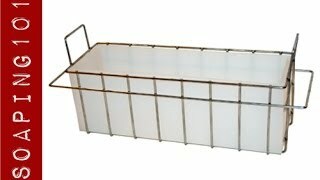 Please use a draining soap dish and keep it away from direct streams of water. 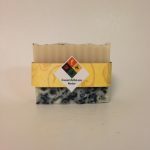 -Each of my soaps are made in small batches. Please allow for slight variation from the pictures, as cut and color may vary. 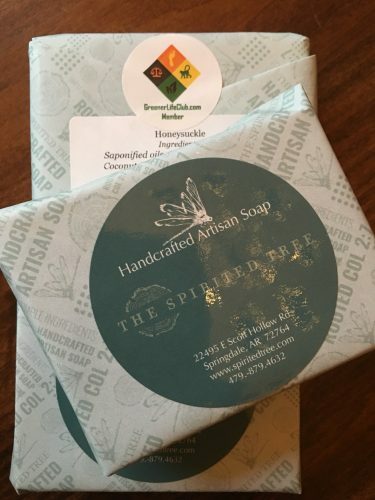 CUSTOM ORDERS: We accept custom orders for soaps! If there is a certain fragrance or oil you'd like in your soap, please ask! 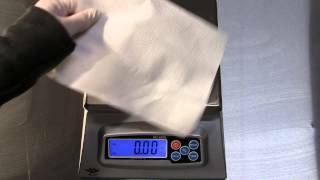 Custom orders will take 4-7 weeks before shipment takes place, because cold processed soap takes time to cure. Orders will not be shipped before curing time has been completed. There is a minimum order of one loaf of soap (about 10-11 bars) for custom orders. 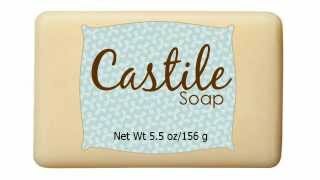 Custom soap orders will not begin processing until payment has been received. Thank you for your understanding! 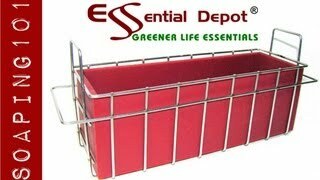 *As with all of our soap products, it must be noted that this item is not FDA approved and you use it at your own risk. By purchasing this item, you understand the previous sentence and agree that Zaisy and it's owner cannot be held responsible for any adverse reactions you may have with Zaisy's soap products. Zaisy makes no medical claims or guarantees in our products. We have never had a customer have a problem with our soap products to date. A bright and citrusy aroma of freshly sliced lemons. Use: Apply a small amount into your palms and rub together to warm. Liberally rub on skin. Reapply as needed. 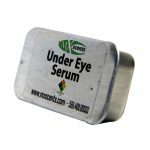 Short Product Description: A wonderful serum to improve the look under the eyes. Our Under Eye Serum Formula helps to reduce puffiness, fight swelling and helps to relieve water retention at the same time that its skin-conditioning formula nourishes this delicate part of the face. Argan oil (Argania Spinosa Kernel ); Jojoba Oil (Simmondsia Chinensis (Jojoba) Seed Oil); Ginseng extract complex (Panax Ginseng Root Extract) in Coconut Oil Solution (Cocos Nucifera (Coconut) Oil); Cera Bellina (Polyglycerol-3 Beeswax); Witch Hazel (Hamamelis Virginiana ); H2O; Vitamin E Oil (Tocopherol) & a proprietary blend of essential oils: Rosmarinus Officinalis (Rosemary), Callitris intratropica (Cypress), Foeniculum vulgare dulce (Sweet Fennel), Lavandula officinalis (Lavender), Pelargonium roseum x asperum (Rose Geranium) and Matricaria chamomilla L (Chamomile). This is a wonderful butter made of three of the most healing, moisturizing ingredients you can pamper your baby with. Whipped Organic Virgin Coconut Oil, Organic Shea Butter, and Organic Cocoa Butter & Zinc Oxide are the only ingredients in this soothing butter. There are no fragrances added to this as the natural odors of these ingredients are soothing enough. The Zinc Oxide helps inflammation and repels water so will help keep your baby's bottom dry. The other ingredients will heal and sooth. Nothing artificial, all natural, because our babies deserve the best! You can also add a Tablespoon of this to your bathwater or baby's bathwater as it can form a protective layer on the skin that seals in moisture and acts as a barrier against harsh external toxins. There can be no claims that this will happen for you, of course, but the inherent qualities of the ingredients will speak for themselves. There is more information below about all four of these ingredients and if you take the time to read these inserts you will definitely understand the value of using Jaxsoaps Satin Skin Baby Bum Butter! Zinc oxide is a fine white powder that is insoluble in water. That simply means that if you dump a little zinc oxide into a cup of hot water and stir it around, you’ll just end up with powder and water. Zinc oxide can occur naturally as the mineral zincite but most zinc oxide is synthetically produced. (see wikipedia) You’ll find zinc oxide in a lot of products as an additive, and in the beauty world you will see it in diaper rash cream and in sunscreen. When you mix zinc oxide with hot emollients, butters, and oils the end result is a thick white cream. While the cream is still hot, you can see the powdery zinc oxide as a separate substance but as it cools the cream becomes a normal consistency and the powder dissolves. Rub the zinc oxide cream on your skin and water droplets will sit on top of the cream. Wash your zinc oxide hands in warm water and you’ll still have beading water. The zinc oxide repels the water and keeps it away from your skin. This is exactly what it does on your baby’s body as well. Wet diapers won’t cause diaper rash because your baby has a layer of zinc oxide cream on that repels the wetness. It’s the best substance to use in diaper rash creams because it works so well at repelling moisture. Repair Skin & Boost Collagen with Raw Shea Butter. Shea butter is non-toxic and gentle enough to be applied on baby skin. Care should be taken to use organically made, unscented, pure Shea butter. Shea butter can be used for baby massage in place of olive oil. Its oleic acid content is comparable to that of olive oil, but it has higher stearic acid content that make Shea butter is closer in composition to the fat naturally found in the skin. The butter can be applied all over the body or to selective areas such as elbows, knees and cheeks that tend to dry out faster in babies and young children. Adding a spoonful of Shea butter to the bath water is another way to use it on babies. It can form a protective layer on the skin that seals in moisture and acts as a barrier to dust and other environmental contaminants. The concentration of natural vitamins and fatty acids in Shea butter makes it incredibly nourishing and moisturizing for skin. It is often used to remedy dry skin and to help protect the skin’s natural oils. A 2010 study found that due to its cinnamic acid and other natural properties, shea butter was anti-inflammatory. (source) One compound in particular, lupeol cinnamate, was found to reduce skin inflammation and even potentially help avoid skin mutations. This also makes it beneficial for some people with acne. Shea butter aids in the skin’s natural collagen production and contains oleic, stearic, palmitic and linolenic acids that protect and nourish the skin to prevent drying. With long term use, many people report skin softening and strengthening as well as wrinkle reduction. Adding a spoonful of Shea butter to the bath water is another way to use it on babies. It can form a protective layer on the skin that seals in moisture and acts as a barrier to dust and other environmental contaminants. If the natural nutty smell of Shea butter is not to your liking, mixing in a drop of pure essential oil of your choice to the bath can solve the problem. Natural hydrating products also tend to cause much less irritation for people with sensitive skin while still locking in moisture, since they’re free from additives, fragrances, colors and dyes used in most commercial products. One of the most popular ways to use cocoa butter is on the lips and you can apply Satin Skin to your lips as well. It’s is even gentle enough to be used as a natural treatment for eczema or dermatitis. It’s also a rash natural remedy. Coconut oil is famous throughout the world not only as an edible oil and hair tonic, but also as an excellent massage oil and smoothener for the skin. In the tropical parts of the world where coconuts are readily available and used in many ways, natives commonly spread coconut oil on their skin, as they believe that it protects from the sun’s harmful rays. So this natural oil, without any chemical or additives, can protect the skin in some of the hottest and sunniest places on earth better than our processed and artificial sun creams? The question is, what makes coconut oil so beneficial for the skin? Before we can understand how coconut oil achieves all of its impressive benefits that people around the world claim, let’s look into the constituents of coconut oil and their respective properties that might make them useful for maintaining skin health. Saturated Fats: Predominantly, these saturated fats are medium chain fatty acids or triglycerides. When applied on the skin, they keep it smooth to the touch. Due to the presence of these fats, coconut oil also retains the moisture content of the skin, as the fats eliminate moisture loss through the pores on skin. When ingested through the regular consumption of coconut oil, these fats deposit under the skin, thus keeping it healthy and smooth, giving it an even tone and reducing the appearance of the pores. Capric /Caprylic/Lauric acid: These are not very different from the medium chain fatty acids, but it is still important to mention them separately here, since they have their own contributions. These three fatty acids have strong disinfectant and antimicrobial properties. As a result, when applied on the skin, coconut oil protects from microbial infections that can get into open wounds or even enter the body through the pores. This microbial action can be experienced even if coconut oil is taken internally, as the fatty acids boost the immunity when converted to monocaprins and monolaurins. Furthermore, capric, caprylic, and lauric acids are easily broken down chains of fatty acids, meaning that they contribute to usable energy in a quick and efficient way. This can be a major boost to your energy levels before a workout, which is why these powerful acids have also been linked to weight loss and management. Losing weight is a good way to improve the quality of your skin by reducing excess fat, stretch marks, and folds in the skin which can be unattractive. Having a healthy, toned body means that the skin maintains its tight grip around the muscles and bones. Vitamin-E: The contributions of vitamin-E towards skin care are well known. It is essential for healthy skin growth, repair of wear & tear on the skin, keeping skin smooth and protecting against cracking. Above all, it prevents premature aging and wrinkling of the skin, since it has good antioxidant properties. 100 grams of coconut oil has about 0.1 mg of vitamin E, thus enhancing it skin-nourishing properties. Anti-Aging Cream: Traditionally, coconut oil has been praised and popularized for its anti-aging properties. Proteins: Like coconuts themselves, coconut oil is rich in many proteins. These proteins keep skin healthy and rejuvenated, both internally and externally. Proteins also contribute to cellular health and tissue repair, along with a wide range of other essential activities within the body. For any damaged cells on or near the skin, a healthy of flow of proteins guarantees their replacement at a normal rate, whereas people with protein-deficient diets heal slower and often develop more obvious scars due to the extended healing time. The best property of coconut oil that makes it so beneficial for skin is that it does not become rancid. When you apply it on the skin, it can work for a longer time, unlike many other oils, without it getting rancid. Due to these various beneficial properties of coconut oil, it is used as an important ingredient in several skin care creams. 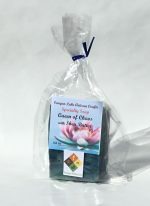 Short Product Description: This special blend of EO & FO create the beautiful fragrance depth in this shea butter soap. Our soaps produce a silky rich lather perfect for hands and body. Shea butter is added at the end of the soap making so you skin will get the full benefits of the shea butter. These bars are a generous 4.0 oz. Msg us on facebook https://www.facebook.com/canyonlakesoaps/or visit us at the Las Cruces, NM Farmers Market on Saturdays. Buy securely through paypal or square. Shipping in the U.S. is through USPS priority mail. Short Product Description: This bar of soap is scented with a fresh peppermint/ spearmint top note and base of light sugar. This soap has coconut oil, palm oil, sunflower oil & olive oil as its base oils. Adding a bit of gentle exfoliation sea salt is in the light blue part of the bar. Short Product Description: Handmade single batch soaps palm free using Essential Oil and Purple Brazilian Clay. 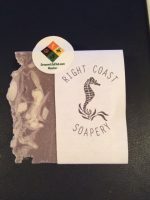 All our soaps are single batch allowing for creative design and scents. All are 3.5 - 4.5 ounces, hand wrapped and stamped in a clean, smoke free environment. We pride ourselves on keeping this "old school" method of soap making alive and well. A sweet bouquet of mandarin orange, bergamot, and tangerine and finishes with a soft white musk, smells very much like Love Spell by VS.